It’s the most wonderful time of the year! But it can also be a difficult time of the year for some when it comes to buying gifts! I have compiled a list of my top 5 gift ideas for adventurers – whether they are kitesurfers, surfers, hikers or just love getting outdoors – there is sure to be a gift here for your adventure-loving friends and family! And to make this holiday season even easier for you, most of these gifts can be bought online and some of them even come with a discount code! A map is also an amazing gift for an adventurer or travel lover. Awesome maps offers maps for kitesurfers, surfers, hikers, golfers and much much more! Use my discount code: MICHELLESKY for 10% off! Off the map jewelry offers beautiful travel pendants to keep you safe on your travels and to commerate your journey. For sporty people, they also have climbing, running, nautical and cycling themed jewelry and more. I can’t go anywhere without my poncho! A poncho is a toweled hood that covers your entire body – like a mobile changing room! It is perfect for changing into or out of your wetsuit/active gear anywhere you are. It also keeps you warm and dry between sessions. This is the one gift you cannot buy online directly from ION, but rather at your local dealer. Check out their dealer finder to find a stockist near you. Adventure-loving people love capturing their expeditions! Why not spoil your loved one with a GoPro, drone or action camera accessory? XtremeXccessories has a large variety of mounts, storage cases and other accessories. Or if you feel like a splurge, why not get them their very own camera or drone? It is after all, the season of giving! Thanks Michelle, I hope to kite with you some someday. Love doing downwinders and riding waves. 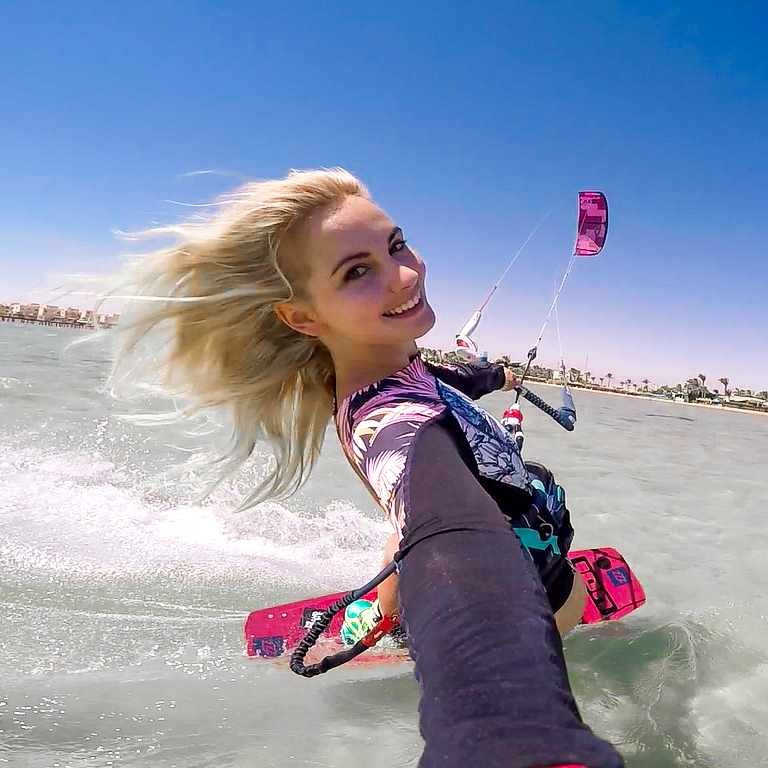 These five products are fabulous ideas for my active kitesurfing family.